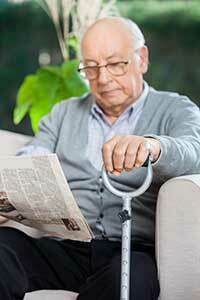 As a nursing home lawyer, it makes my day to see new elder care laws being passed. From my experience, I know that many senior citizens sorely need our help – both from a legal standpoint, and from society at large. So I was disappointed to read about recent events in Florida, where Gov. Rick Scott is attempting to cut back on nursing home regulations. According to a recent AP article, soon after Scott took office in January, he fired the state’s long term nursing home ombudsman – a move many are now calling illegal. Nursing home ombudsman programs exist in every state. They’re funded by the federal government, and their main goal is to investigate complaints filed about individual nursing homes. A vast majority (90 percent) of the 14,000 national ombudsman staff are volunteers. At question in Florida is whether Gov. Scott had the right to fire upper-level ombudsman personnel, and to replace them with people who are reportedly friendly to the nursing home industry. In February, Scott ousted state ombudsman Brian Lee, putting in his place Jim Crochet – a well-established figure in the nursing home lobby. “The state is succumbing to the demands of the nursing home industry,” said Janet Wells, director of public policy at The National Consumer Voice for Quality Long-Term Care. The National Consumer Voice is a D.C.-based nonprofit that advocates for long-term care residents. In a June 3 editorial for The Palm Beach Post, Lee called Gov. Scott’s actions “criminal,” and encouraged nursing home residents – and their families – to speak out. Lee, along with another high-level ombudsman employee who was fired, Lynn Dos Santos, have filed whistleblower complaints with the Florida Commission on Human Relations. The federal Administration on Aging has also launched a formal investigation into Lee’s dismissal. What should I do if my family member develops bed sores during an admission to a nursing home?